Homemade Pita Bread (in British English, pitta bread) is so much better than store-bought and really doesn't take much active time once you get your moves down. I especially like it with just a little whole wheat flour (as in my recipe below), but I was out so just used all unbleached all-purpose flour this time. Still delicious! Having made it both in the oven and on the stovetop, I get the best results with the oven. But if you've never made pita bread, try it both ways; you might get your best results with the stovetop. One way I've not tried, and plan to next time, is to bake them six at a time on a preheated heavy-duty sheet pan. Mr. Delightful likes pita bread sandwiches, but not the sandwiches I made today! He refuses to eat "mushy" foods like baba ghanoush or hummus. I put a schmear of hummus on both sides of the pockets and filled them with thinly sliced tomatoes and cucumbers and shredded carrot. Love it! And I made a wonderful discovery today! Besides being out of whole wheat flour, I was out of tahini; so I decided to try my hummus with peanut butter (organic natural - the kind you have to stir - peanut butter), and it worked! Do you like to try substitutions or would you drag your lazy carcass out to the shops to get the proper ingredients?! 1 In large bowl, stir together the two* flours, removing 1/4 cup of the unbleached flour to use for kneading. Stir in sugar, salt and instant yeast. With dough whisk or spoon, stir in the oil and 1 cup of the water until thoroughly combined, gradually adding more water only if needed. Stir for a minute. The dough should be "shaggy," soft but not too wet. * The batch photographed was made with all unbleached flour because I was out of whole wheat. 2 Turn dough out onto lightly floured (from the reserved 1/4 cup) surface, and knead for 8 to 10 minutes, adding only enough flour to keep dough from being "too" sticky. It should be sticky, but not sticky enough to come off on your hands or the counter. 3 Put into a lightly oiled bowl (I use a 2-quart glass measure so that I can measure the rise), cover and refrigerate overnight. Note: The long, slow rise not only makes the bread more flavorful, this timing allows you to make the dough on a busy weeknight. Example: Make the dough Friday evening, refrigerate it overnight, bake the pitas the next day or evening (taking the dough out of the refrigerator about 3 hours before you plan to bake the pitas). 4 Bring dough to room temperature (about 1 1/2 to 2 hours), knead lightly just a few strokes, divide into 12 equal pieces. I actually weigh the dough and divide the weight by 12 (which came to about 70 grams, or about 2.5 ounces). If you're not as obsessive as I am, you might just eyeball it. 5 Roll each piece into a smooth ball, place fairly close together on your countertop and cover with a damp tea towel or an overturned bowl; allow to rest for 10 minutes. 6 Meanwhile, move oven rack to lowest position. Place a pizza stone, cast iron pizza pan or griddle or a heavy-duty baking sheet in the oven, and preheat to 475F/245C/Gas9 for 30 minutes. 7 Roll dough balls out on a lightly floured surface to rounds about 3/16 inch (or 1/2 cm) thick (about 6 to 7 inches/15 to 18 cm in diameter), making sure they are evenly thick all over. Cover with a damp tea towel and leave for 20 minutes. 8 Quickly place as many pitas as will fit on the hot stone, keeping the oven open as short a time as possible. Cook until they puff up, about a minute; flip with tongs or spatula and cook about another minute. Loosely wrap in a tea towel while you continue to cook pitas. Note: The pitas should be soft, not crisp, and pale, with only a few brown speckles. Keeping them covered will keep them soft as well as warm. 9 Serve, covered, in napkin-lined basket. Or let cool completely, wrapped in tea towel, before wrapping and freezing. Oven. That’s that thing with the window in it, right? I went down there once, opened the door. Beautiful purple interior, but they’ve got the security bars all wrong – they lay horizontally instead of vertically. In any case, I’m thinking of filling it with water and putting a few goldfish in there. It’s got an aquarium light, you know. Sigh…well, I did bake some cookies yesterday. As for dragging my sorry carcass to the store, depends how important the missing ingredient is. I once got Trader Joe’s to mix up some whip cream for me (to go with pumpkin pie) when I was out and they were out of whip cream in a can. But like you, I do a lot of substituting and discovering. So, Mr. Delightful won’t eat squishy foods, eh? Maybe you should just bake everything to a crisp in that oven. Thanks, Judy! Yes, they end up being pockets by puffing way up and leaving a hollow center that you see just as soon as you cut your pita in half. And it does make me feel better that I'm not alone in my obsession! Now there's a good idea, Sully. No, not turning your oven into an aquarium, but baking squishy foods to a crisp for Mr D -- I had thought of frying up hummus patties for him, but the oven might work even better! We had sandwiches similar to this in Israel many years ago (1999). They were delicious and thank you for sharing the recipe and making this look so easy! That always helps. Thanks for sharing and linking. Thank *you,* Bernideen! Yes, pita bread is very popular in Israel. I don't know why I never thought of making pita bread but what a great idea! The store variety always taste stale. Make a bunch and freeze them. Then when I want one, I'll pop it in the toaster. Homemade is always better and I'll bet your pitas taste wonderful Jean. They're not something we eat although I don't mind ordering falafel in a pocket when out sometimes. Exactly, Richard! Of the store variety, the whole wheat is best; the white, besides tasting stale, seems to taste "chemical-ly" to me. 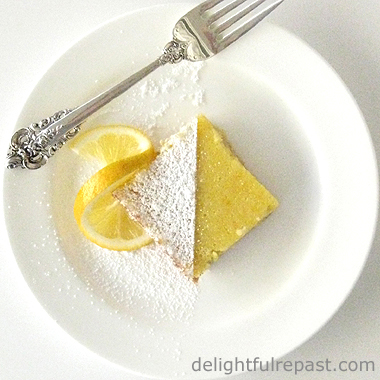 You're going to love having a supply of homemade in the freezer! Thank you, Judith. It IS fun to order something out that you don't usually have at home! Thanks for posting your recipe! I used to make pita bread all the time when our kids lived at home but have gotten out of the habit of making them since it is just my hubby and I at home now. He is not big on pita bread but I sure am! These pitta pockets turned out really beautiful. Excellent job, Jean. These look amazing! They are so much thicker than the flat store bought! I do love pitta, it's so easy and perfect for summer time. Angie, thank you. I know you would incorporate all kinds of interesting grains into them! Thanks, TCOH. I'm going to freeze a bunch of these and never get store-bought pitas again! Manu, I never thought about pitta bread as being of a particular season, but you're right; they are perfect for summertime. Martin, I've said that - Why have I never made this before? - about so many things! Let me know how this turns out for you. We've been making pita bread for years and years. Our grandsons and kids love the idea of just munching on them although it tastes great filled. Your photo is so much nicer than the one I have. 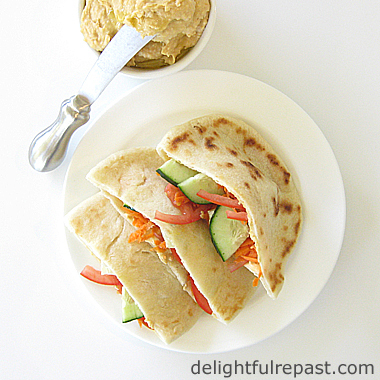 The pitas are one of the first recipes I put on the blog --can I saw an awful photo? I will have to retake the shot. We love to make bread and I'm always looking for challenges in the recipes. Aren't you amazed at how very easy pitas are and I love watching them get all puffy in the oven? Great recipe! Have a wonderful weekend. Thank you, Marisa! But, no, your photo is not awful at all! I love making all kinds of bread, too. Very fun! YUM!!! We love pitta bread! Pinning to try during the week! Lucy, thanks! Let me know how they turn out for you! Hi sweet Jean! YUM! Your ideas are always so inspiring! Your pita bread looks wonderful, perfect actually. I love pita pockets but do try and stay away from bread as much as possible. 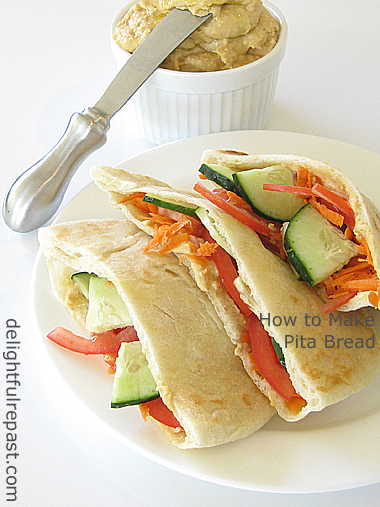 I have pinned this and will certainly give them a try as I have never made pitas from scratch. Aaww, thank you, Karen! Sometimes I wonder if I don't post an odd assortment of things! Debbie, thank you! I couldn't possibly stay away from bread! :D You can always make a batch and freeze most of the pitas right away, then just take out *one* on occasion. We eat a lot of pita bread but I've never made my own. I'd love to give it a try. Amalia, I think you're going to like making your own! Do let me know how it goes! Thank you, Telma! You might be my first commenter from Portugal. Belas fotografias em seu blog. 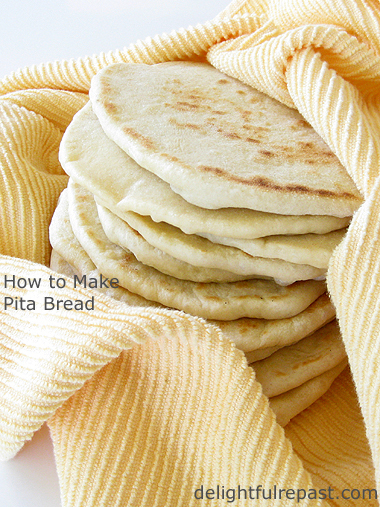 I've never made pita bread, Jean, but would love to try your recipe. Why yes, I'm like you and would much rather substitute an ingredient than run to the store. Kitty, I think you'd have fun with this one! Glad to hear you'd make-do instead of running to the store! Delicious homemade pita bread is in my list for long time, however I didn't try it, You made it perfect and very nice, thanks for sharing with Hearth and soul blog hop, pinning and tweeting. Swathi, thank you. AND thank you for sharing my posts! Homemade is always nice! I like how delicious this sounds. I would enjoy eating it myself. Thanks, Crystal! And I look forward to checking out your wood pallet projects! Your Pita Bread looks wonderful, Jean! Thank you for sharing it with us at the Hearth and Soul Hop. Pinned! Hope to 'see' you again this week! Thank you so much, April! This is really a fun bread to make! You dropped by my blog and so I was returning the favor, only to find a much-needed recipe for pita bread! Just last night I was looking for a great recipe and wasn't sure where to start. Anyway, I'm pinning this one! Thanks so much! Yep...have to make your pita bread! I've made 2 batches of your scones in the last week--always a hit--and so easy to make. Sorry Mr Delightful doesn't like the mushy stuff. Mr Lightarted is always delighted to try your recipes (and he's a big hummus fan). Thanks, Sue! Hope you and Mr Lightarted are having a wonderful summer and will enjoy the pita bread! I'm so glad you like the scones.